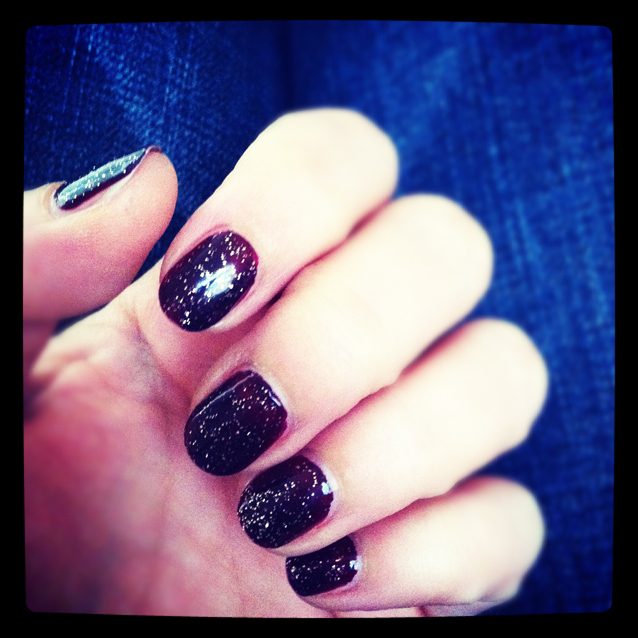 Sparkling nails with nail inc. I am a huge fan of nail polish. I must have at least 30 different colors stock up in my bathroom. My latest purchase is from nails inc. It is called Victoria. It’s very dark and rich in color with hints of black and violet. 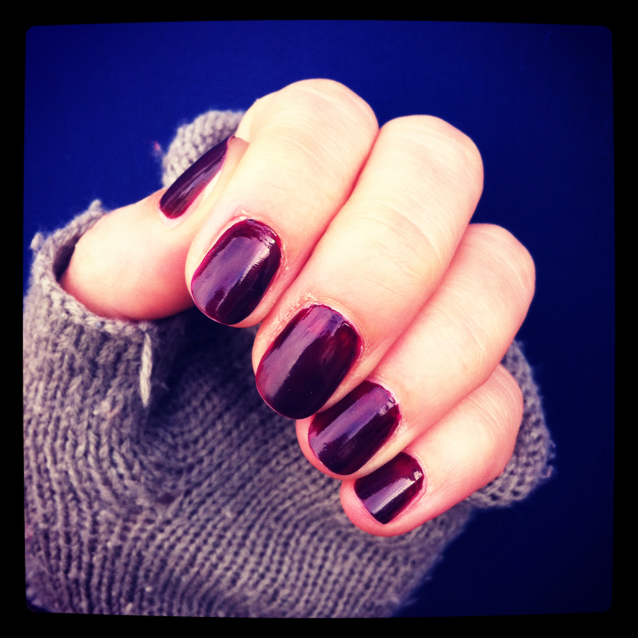 Perfect color for perfect winter nails. I also bought Glamour Glitter in Chelsea Embankment just because I’m obsessed with the bling-bling at the moment. I experimented a bit last night by layered glitter Chelsea on top of my Victoria coat as you can see in the next picture. I also tried Chelsea on it’s own and it looks very gentle & fairy like. Great look for that Christmas work party next week. Will keep you posted on that.